Hello BigCoupe.com friends. 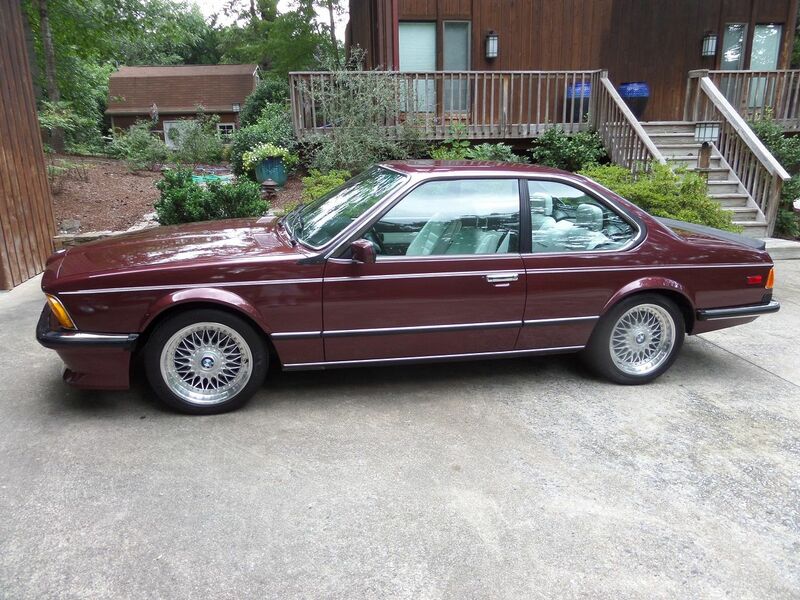 Today I would like to introduce Merlot, my new to me 1985 M635. 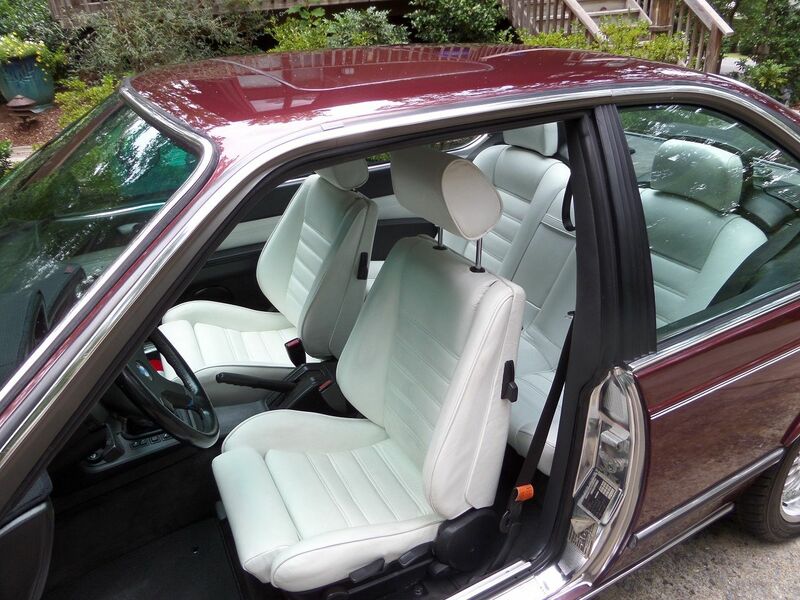 She is Burgunrot metallic (199) with a special order (9990) white leather interior. 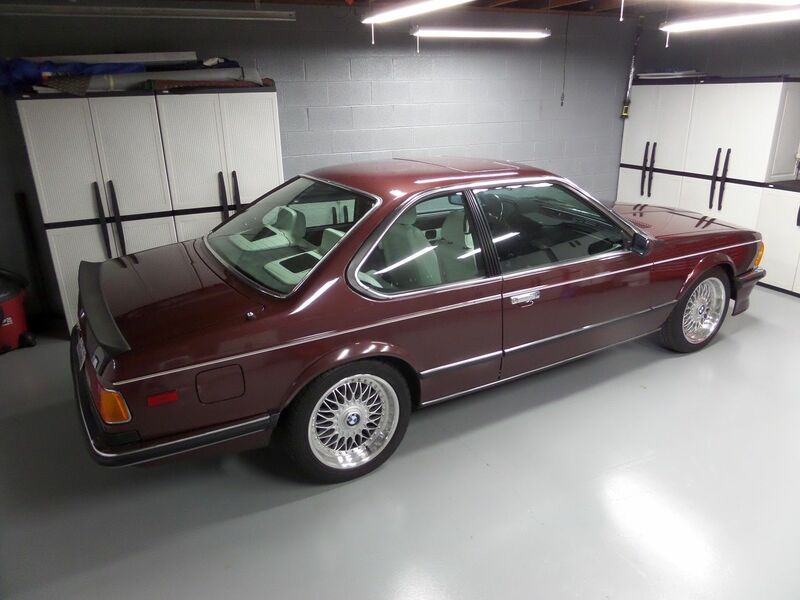 She is my second M635 and is the result of sellers remorse after selling my 1st M635 that her original owner named Crystal. You can see her details and history here by searching "Introducing Crystal" in this Gallery forum. She is a stunning beauty! Beautiful car with beautiful colour combination Ed. Nice pick up indeed. Is that a bulkhead mounted subwoofer I'm seeing there ? PS ..... I do have a slip on cover for the driver seat, which helps a lot. Last edited by Ed Lyerly on Tue Nov 13, 2018 4:34 pm, edited 1 time in total. wow, very unique combo, looks very nice! Wow, Ed! She's a beauty. 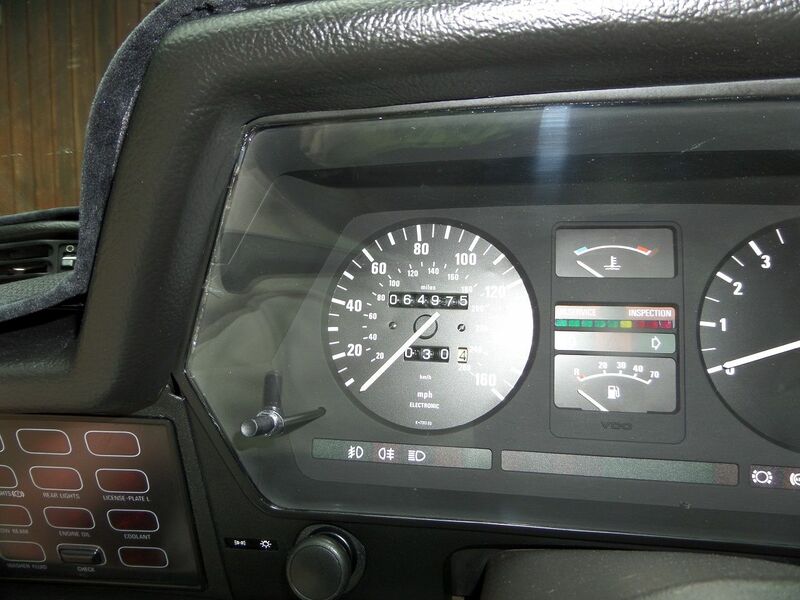 That lotus white interior looks remarkably spotless. Great find. Did you get tired of fooling with that Pantera? I still have the Pantera but will likely put it up for sale in the Spring ..... it could be yours if you are interested. 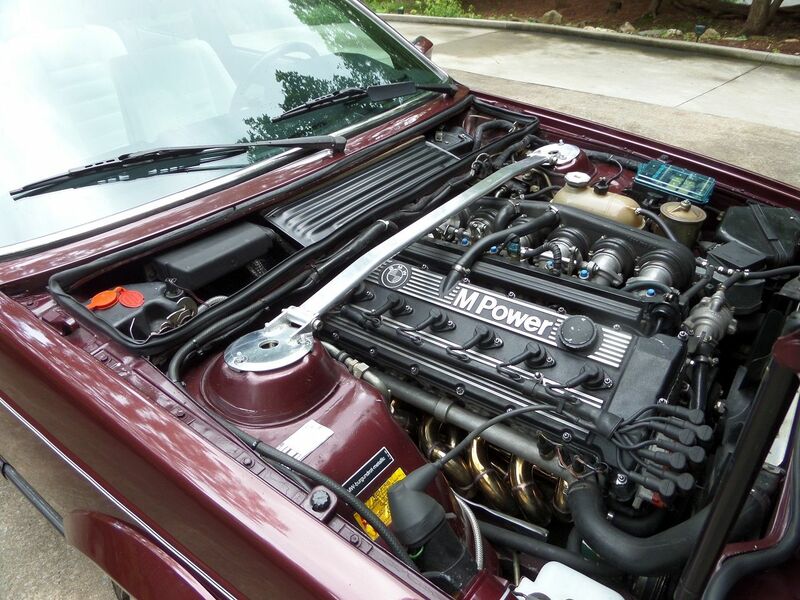 Luvly....i was just noticing your valve cover...and the differences...with my 88 us m6....wondering if that has something to do with the emission differences between euro and us....with euro single row timing chain vs the double row for us? Or is it just model year difference thing! 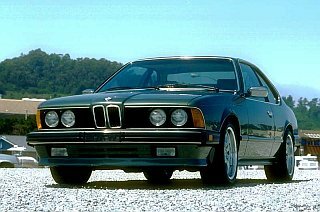 1988 Black BMW M6...7th to the last North American M6 built. One of six with the black Nappa leather interior. Thanks for your kind words about Merlot. To answer your question .... I believe it is a model year thing. My previous M635 "Crystal" had the same configuration. Crystal was born 3/85 where Merlot was born on 9/84. 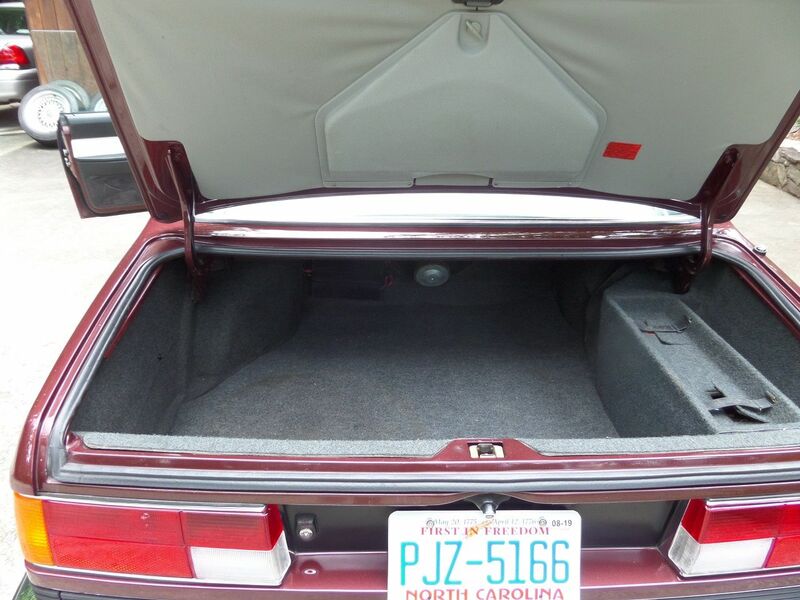 What the US M6 model owners usually notice on that side of the engine bay is the "bundle of snakes" SS header system that the grey market euro cars came with. I did notice those works of art as well! Come on down to the Southeast Sharkfest in a couple weeks in SC (April 26-28) and we can compare notes on these very special cars. Attendance this year was planned, but my wife just had a knee replacement and she needs me here. Next year!